You're so prepared. You've taken childbirth classes, read all the books, and maybe even hired a birth photographer to document the moment when you *finally* meet your baby. You're invested in your health, your comfort, and your birth experience. Your nursery is ready, your bags are packed, and the baby clothes (so tiny!) are washed and sorted, but fear of the unknown still waits on the other side of birth. How will you manage the intensity of labor (will it hurt? ), the around-the-clock feedings, recovery from birth, hormone swings, and exhaustion all while getting to know your tiny new human? Maybe this isn't your first baby and you still remember (although it's quite fuzzy!) just how much work labor and newborn life is. You'd gladly invest in a little piece of mind if you were sure it'd be worth it. I am Colleen Mikeska and I started Woman Craft Austin in 2012 because I truly love nurturing and supporting pregnant people and new moms. I know that pregnancy and birth are both normal and transformative and that a little TLC goes a long way. As a society, we absolutely must do better to care for women and I believe absolutely in the unique healing powers of massage and placenta encapsulation during the childbearing year. It's my goal to take the "weird" and "hippie" out of placenta encapsulation and massage therapy so that you can experience firsthand the benefits of both and have a happier, more comfortable pregnancy and postpartum. After all, a happy, healthy mom can better care for her baby. What more motivation do we need? Thoughtful and appropriate referrals to other helpful birth professionals like lactation consultants, chiropractors, acupuncturists, OBGYNs, doulas and more! Colleen is a dream to work with! I had my placenta encapsulated by her and she made the process extremely easy. She was quick to respond to my questions and texts, and super friendly. We texted her just after our son was born and Colleen picked up our cooler just a few hours later. It was so fast and easy, and then I didn't have to worry about anything other than focusing on my baby. She delivered the pills on the day we came home and explained everything very thoroughly. I took the recommended dosage and felt great during my recovery. I would absolutely recommend Woman Craft to anyone thinking of encapsulating her placenta! I'd love for you to explore my placenta encapsulation offerings, give yourself the guilt-free gift of massage, and let me know what questions you need answered. Restore your amazing body with the same essential nutrients that created life. Made by you, for you and your baby. Reported benefits include increased energy and milk supply, faster recovery, less bleeding and overall greater sense of well being. Enjoy the benefits of personal and caring doula support through pregnancy and birth! 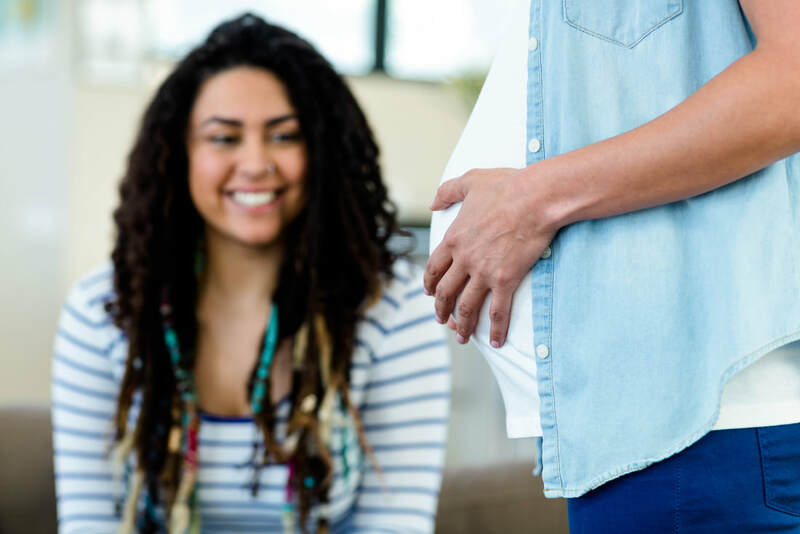 Have a more satisfying, family centered birth experience with the guidance and support of a seasoned and loving professional doula who is there to support you. Therapeutic massage has been used for centuries to improve overall health, reduce stress, and relieve muscle tension. What better time to receive expert and intuitive massage therapy than before and after your baby is born? Finalist for Best Massage Therapist & Best Placenta Encapsulation Services 2016, 2017, 2018!